USPA NEWS - The Ministry of Interior held a press conference on Monday about the permanent Residency Law No. 10 of 2018 and the procedures for granting the Permanent Residency Card. 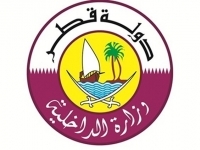 Director of Legal Affairs Department Brigadier General Salem Saqr Al Muraikhi and Director General of Passports Brigadier Mohammed Ahmed Al Ateeq said the permanent residency law comes within the keenness of the State of Qatar and its wise leadership to provide the best services to its residents. At the beginning of the conference, Brigadier Salem Saqr Al Muraikhi noted Qatar's continuous efforts to provide better services to citizens and residents. "The officials in the country always wanted to provide better services for those living on this land," he stressed. "The importance of the Permanent Residency (PR) Card lies in its appreciation and recognition of some categories of long-term residents whereas it is an extension to fundamental constitutional concepts as it appears clearly in the speeches of HH the Amir Sheikh Tamim bin Hamad Al-Thani when the citizens are paired with the residents," he further added. He also noted that this initiative will increase the investment and attract more capital leading to the economic growth in the country while the State can benefit from the persons of special competencies as well. The aim was also to find mechanisms to provide a better service to the resident who is competent and giving. As well, there are categories that are of interest to the state, such as the Qatari children, he said. "As a result this law was developed and various authorities in the country discussed it before it was issued finally couple of days back. It will be implemented once it is published in the Official Gazette," he explained. He said that the idea of Permanent Residency Card has been underway for some time, and was not the result of any specific event. Brig. Al Muraikhi explained the conditions for granting PR card and those exempted from the conditions such as the children of a Qatari woman married to a non-Qatari man, non-Qatari husband of a Qatari woman, non-Qatari wife of a Qatari man, children of Qataris by naturalization, individuals who have done great services to the country and individuals with special competencies needed by the country. Brig. Salem Al Muraikhi explained the rights and privileges of the PR card holder according to the law including health, education, ownership and investment according to the terms and conditions that will be issued at a later time by the Cabinet. The cardholder may leave the country and return to it during the period of its validity without obtaining any consent or permit and other privileges, Al Muraikhi explained. He explained the measures taken to implement the Law by the Ministry of the Interior, he said that a working group has been set up to prepare the implementation of this law, with the cooperation of all ministries and entities related to the law in the State. Several meetings were held with different law enforcement authorities, namely the Ministry of Administrative Development, Labor and Social Affairs, the Ministry of Economy and Trade, the Ministry of Education and Higher Education, the Ministry of Health and the Ministry of Municipalities and the Environment as part of implementation, he added. He said decisions will be issued soon on the implementation of the law such as the PR card fees, validity and the procedures to be made for withdrawal in the event that a card holder violates the conditions stipulated by the law. Al Muraikhi said a PR card holder will enjoy privileges widely similar to that of a Qatari citizen. Regarding the mechanism one can apply for the PR card, Brigadier said that application submission will be made available through electronic applications. The applications will be subjected to legal review and compliance to meet all legal requirements and other conditions by legal auditors of the Committee. Then the applications will be submitted to the Committee which will issue its recommendations on such applications. In case of approval, the applications will be referred to General Directorate of Passports to issue Permanent Residency Card. Director General of Passports Brigadier Mohammed Al Ateeq said that the Ministry of Interior relies on providing its services through an electronic system. Therefore, an electronic network has been built to implement this law and has been tried and tested. Regarding granting not more than 100 Permanent Residency approvals per year, Al Muraikhi said limitation is linked to many things, most importantly the size of the population in Qatar. He added Qatar is a very small society compared to other countries, so specifying it is very important and was reviewed deeply during the preparation of the law and also when discussed in the Advisory Council. Al Muraikhi added the 100 Permanent Residency grants given per year shall include all the categories and conditions stipulated by they law. This number complies with the size of the Qatari society, however the law allows an increase in number if approved by HH the Amir, based on a recommendation from HE the Prime Minister and Minister of Interior.